FCC Experiences 'Denial-Of-Service' Attacks, Senators Respond : The Two-Way Two senators have written a letter to FCC Chairman Ajit Pai inquiring into the attacks that took place Sunday night. They overwhelmed the agency's public commenting system. On Sunday night the FCC experienced "denial-of-service attacks," which made it difficult for the public to make comments on their filing system. 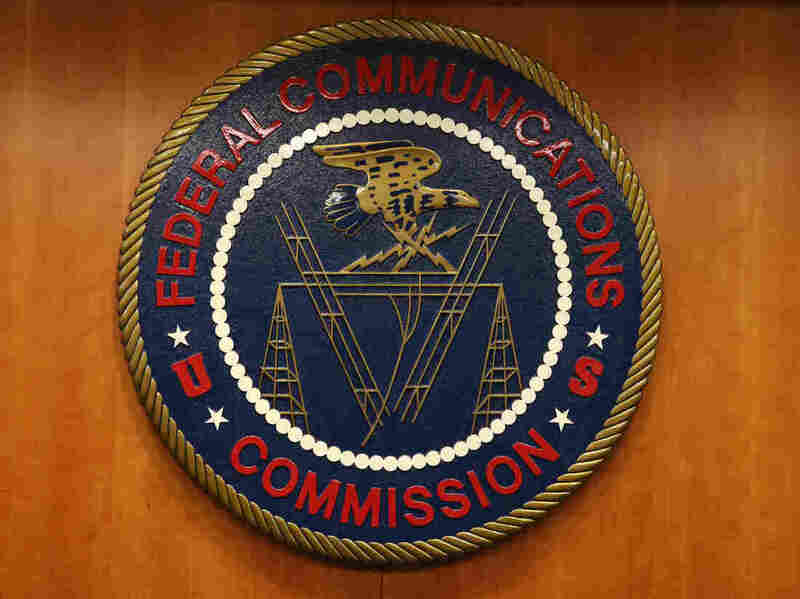 The Federal Communications Commission's public commenting system experienced delays Sunday night. That was the same night comedian John Oliver did a segment about net neutrality on his HBO show, Last Week Tonight and encouraged viewers to file comments on the FCC's website. On Monday, the FCC said in a statement that the delay of service was not related to an overwhelming number of people filing comments. The agency blamed high traffic generated by cyber attackers who made "deliberate attempts ... to bombard the FCC's comment system with a high amount of traffic" which "made it difficult for legitimate commenters to access and file." On Tuesday, Sen. Ron Wyden, D-Ore., and Brian Schatz, D-Hawaii, penned a letter to FCC Chairman Ajit Pai asking for clarification on the attacks. "A denial-of-service attack against the FCC's website can prevent the public from being able to contribute to this process and have their voices heard," the letter read. "Any potentially hostile cyber activities that prevent Americans from being able to participate in a fair and transparent process must be treated as a serious issue." The letter focuses on the source and nature of the attacks. The senators ask the FCC chair to address the duration of the attacks, evidence of who the responsible parties may be and if the FCC has sought out assistance from other federal agencies in investigating these attacks. The senators ask that the chairman provide a response to their questions by June 8, and brief Congress on their investigation into the attacks.